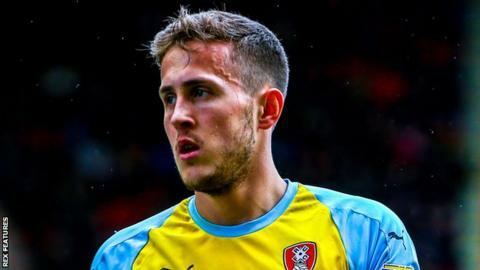 Wales have handed a first call-up to Rotherham midfielder Will Vaulks for the friendly against Trinidad and Tobago and their first Euro 2020 qualifier against Slovakia. Wales manager Ryan Giggs watched the 25-year-old play in Rotherham's 3-2 win over Blackburn earlier this month. Vaulks was born on the Wirral and previously played for Tranmere, Workington and Falkirk. He joined Rotherham in 2016 and qualifies for Wales through his mother. "I've watched him and Pagey [Under-21 manager Rob Page] has watched him. He's done really well," Giggs said. "It's been an interesting journey for Will. Released by Tranmere, he was in the system in Wales at 15,16 then went up to Scotland and came back down to England and is now captain of Rotherham. "It's a fantastic story and just proves never give up and I'm really looking forward to him meeting up. He's got a lot to offer." Real Madrid forward Gareth Bale is included in the squad having suffered an injury to his ankle in the closing stages of his club's Champions League defeat against Ajax. "I was worried as everyone watching the game but it was just a kick and he should be fine," Giggs added. "He's a fantastic player and like I've said in the past when Gareth turns up he gives everyone a lift - the staff, the fans, the players." Wales face Trinidad and Tobago in a friendly at Wrexham on 20 March, four days before hosting Slovakia in their opening Euro 2020 qualifier in Cardiff. Aston Villa defender James Chester, on-loan Derby midfielder Andy King and unattached midfielder Joe Ledley all miss out through injury. There could be a competitive debut for Schalke winger Rabbi Matondo, who won his first cap in November's friendly defeat against Albania. Aston Villa left-back Neil Taylor could feature for the first time under Giggs having missed the last two matches through injury. Giggs confirmed 34-year-old defender Ashley Williams, on loan at Stoke City from Everton, will continue as skipper having succeeded Aaron Ramsey in 2012. "As long as Ashley is in the squad he will be captain," said Giggs. "I have said that in the past. He is the captain going into the campaign. "I think he is enjoying it at Stoke. I spoke to Nathan Jones [Stoke manager] - he is really happy with him. I am actually going to the game on Wednesday, Derby v Stoke. "Hopefully he will be involved in that. He is happy where he is at and he is enjoying his football."